As creatives, we long to learn and grow but to also honor our gifts. That honoring comes in making time for creating in whatever form you are pulled. Creativity is a deep, deep calling and there are always a million excuses not to answer. Are we worthy of taking the time or spending our resources? We often can ask ourselves what else “should” we be doing instead. Will we even make anything good? Why do we forget that the creating IS the good? Whatever lies we have believed, lies we told ourselves or lies that were spilled over us…we make the rules now and creativity is not an area in our life that is waiting for permission. It is just waiting for us to answer the call. We are so excited to share the first online course of 2019 on our creative network and community! Creativity is Calling! Will you answer? 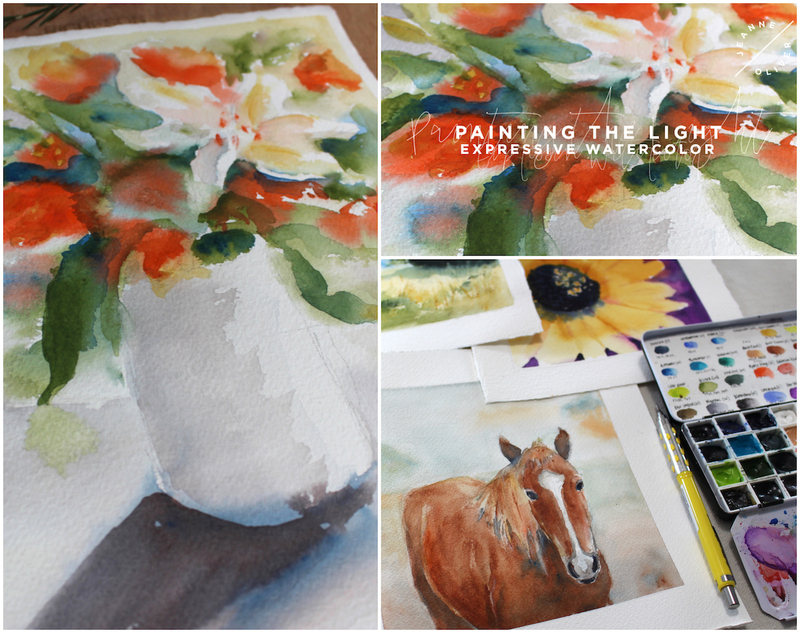 Early Registration is ending for Painting The Light | Expressive Watercolor with Christie Drahnak. Early Bird Registration is $38 and will go to the full price of $52 on February 12th at 10 pm MST. The course will go live on Tuesday, March 12th. The course is 4+ Hours of Content. Come and read all about it. I love watercolor! Watercolor is a very portable medium and is quick to use. Using watercolor is a lesson in allowing the unexpected and being in awe of the effortless beauty that is created when you let go. I would love for you to join me as I embark on a journey of discovery and expression using watercolor to capture the magic in everyday life. I will share the full process I use to come up with original watercolor paintings, including the experiments and steps I take to find what I love and wish to express. 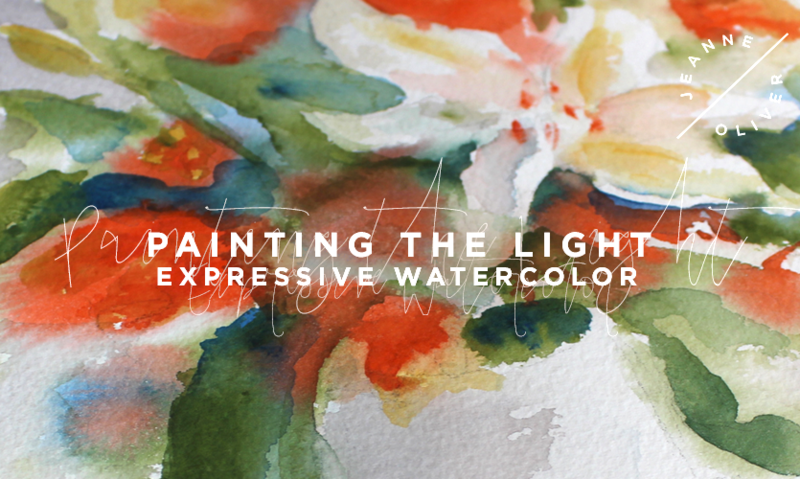 You will be encouraged to create from your heart and express yourself while learning the luminous medium of watercolor. By the end of class, you will know how to set up a composition from a photograph using a sketchbook before going to your final painting. We will paint a sunflower, landscape, and horse. -Build upon the skills you have to learn something new. -Create studies that you can refer to again and again. To read more or to register for this course please click HERE. If this is your first course with us or you are a longtime member we want to share how easy it is to find out more, register, see the supply list and share with your friends. 1. Come and read all about the new course HERE. 2. If you think your friends would love this course we would be beyond honored to have you share the promo video. We have included all of the social media links under the video to make it easy. You can also directly share the course page. You do not have to be a member of this site to see what we have to offer! LOVE THIS! 3. We also have over 100 other courses and to see what we are offering you can go directly to jeanneoliver.com and then click on courses. 4. All of our courses are pre-recorded so you can watch at your convenience. The best part is that you have lifetime* access. 5. If you have any questions about the course please contact support here.